Everything starts with the first step?! Ab.so.lute.ly. And sometimes that first step, no, actually: these first steps – happen unexpectedly. Case in point was my weekend that did not start on the best note. A hurrican-force wind called Felix hitting Germany cancelled plans of mum coming to my place on Saturday and us visiting a concert that night. Not cool. However, what followed was a weekend actually worth calling marvelous. For one or the other reason the soundtrack running [in my head and on Spotify] while writing this post is Get lucky. So for the full experience – and because it’s Monday and music makes the week start off better – turn it on while you read. If you read my goal talk post you might imagine I wasn’t keen on venturing out to see the band alone. An unknown venue, In hindsight I was really glad I ended up going alone. I can’t pinpoint out what it was but I feel sticking with the plan even though it didn’t go as I’d planned was an experience worth having. Even though I seemed to be the only one not being there with a husband or friends in tow I didn’t feel lonely. I returned home feeling – bear with me – accomplished. Ecstatic. Joyful. I know, I know. But that’s what a little pushing pas my comfort zone, going out, enjoying myself and chatting up the group after the concert does to an introvert. Like I said: extroverted introvert. And there I had been only hours ago, shortly before leaving for the event with my stomach in knots – and I won’t blame the cheese in the [pretty amazing if I dare say so] Mexican wheatberry casserole I ate at home pre-concert for that. And because we can’t forget to talk about the actual concert is was absolutely amazing, too. I took about 375894948 pictures and loved every second of it. Lists because who doesn’t like lists? Work aside I’m not the most organized person [an understatement] and lists rule my life – or at least make it easier. Knowing this I re-evaluated my goals again and found ways I could work with lists to make them more feasible. See below for examples on where and how. Checking points off of a list is a great way to feel accomplished and keep yourself in check so if you’re anything like me and not writing lists just yet: start a new habit! 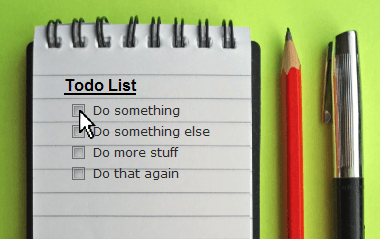 Cold turkey: As much as I’m a fan of gradually making changes – they also tend to stick longer when approached that way – certain habits of mine die too hard for that. It’s an all-or-nothing way that I’d only recommend for those goals that need to be tackled, like, yesterday. You’ll understand what I mean in a minute. Before that: another picture because the group was just so awesome. In regards to my food goals I went through my pantry and listed [almost*] everything in there. Oh. my. I’m not going to post the list because who wants to read a lengthy account of whichever odds and ends I piled up 😉 ?? Some thoughts going through my mind while listing, though: Who bought all the white beans and maple syrup??? Where is the family of four I’d apparently hoped to take care of by buying all of this? And: Is it possible to eat all of that before my next move? The answer to the latter is likely no. But I might as well try as good as I can and I may or may not plan on asking you for recipe suggestions soon. – Add a recipe tab. Because who wants to search a blog forever to find a certain recipe you knew was up there? Plus, I like organization and that’s a good place to start. – Trying other bloggers’ recipes: This will be in list form, too, as another constant tab so you can follow my progress and obviously find out if I’d recommend a certain recipe or not. – Set aside a specific day and time every week for replying to comments. The question to all fellow bloggers: How do you manage to reply to comments in time? – No blog readingafter dinner for the next two nights to get me started: Ouch. This one’s not my idea of fun but sometimes drastic measures are the only way, right? I enjoy reading all of your posts just a little too much to end at a reasonable time. However, sleep is too important to keep up my nightly habit. Keep your fingers crossed for me sticking with this one! Happiness-inducing today: Talking to my dad on the phone. We hardly do because he works a lot so it was a nice surprise he called me tonight. Do you enjoy going out on your own or prefer being with friends? What’s your usual approach to goals: cold turkey? Step by step? … ? Bloggers: what’s your strategy to reply to comments in time? I appreciate every single one I get but am horrible at replying. Haha, I feel like we were pondering about similar things past weekend. I try to comment the day after. It really doesn’t take that much time and I feel my readers deserve to have a reply asap, cause I love all the commenters so much. Hmm yesss, sometimes doing it cold turkey is the only way you’re actually going to do it…that’s the route I went in tackling my tornado closets today. One drawer a day? Aint gonna happen. So here I am, half passed out on the bed in a sparkling spring-cleaned out room(!). I am so happy you’re taking the plunge in spreading your social wings – pushing through the comfort zone reaps the rewards 🙂 . I like your goals listed here! I need to make lots more blogger’s recipes. I feel like there are so many and so little time in the kitchen…haha. But everytime I make a fellow blogger’s recipe, I do share the love on instagram or other social media just to give support. And I’m working on unplugging more from all of that social media through the week and on the weekends especially.